Comparing with traditional liquid paint,the excellent properties and economic and environmental advantages contribute to the great success of powder coatings.Although many disadvantages to the use of powders still exist,yet these shortcomings have been eliminated or minimized through the development of formulation and equipment.This significant development will help to ensure that powder coatings market will go on growing at an impressive pace . New resin systems allow powder coatings to be cured at as low temperatures as 120°C.This low curing temperature system,such as IR curing,has significantly opened up the market to heat sensitive substrates such as plastic,wood,etc. Thin films 20-70um can be applied in a wide range of glosses ,colors and surface textures, and ultra thin film 20-30um powders are currently being developed,that offers better control of film thickness and better penetration into recesses. 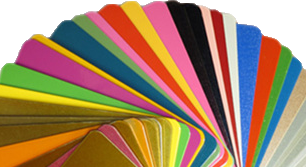 Equipments developments also contribute to the future advancement of powder coatings. Comparing with 30-40% utilization rate for other coating process,powder use rate of 96% or higher are common . Coating speed in powder coating facilities is being increased with the advances in infrared (30secs curing time)and ultraviolet curing (4-5seconds)technologies. Many challenges associated with powder coating remain for the industry,even though it has gained impressive progress and developments. Solutions to these challenges would open new finishing market area.